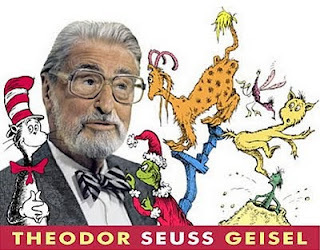 Mommy Lessons 101: Dr. Seuss Celebration! Target is holding a Read Across America event. Stop by your local Target for story time, free games and giveaways. This is tomorrow 2/27 from 9-11am. It seems all Targets are participating, but call to make sure if you are worried. Check your local libraries as well as many do activities to celebrate Dr. Seuss's birthday on March 2nd! And if you are super ambitious, I ran across a fun post of ideas you can do each day for a week at home for the fun holiday. My kids always enjoy celebrating this quirky holiday!